On 6 February 1840, the Treaty of Waitangi was signed at Waitangi in the Bay of Islands by Hobson, several English residents, and approximately 45 Māori rangatira, Hone Heke being the first. The Māori text of the Treaty was then taken around Northland to obtain additional Māori signatures and copies were sent around the rest of the country for signing, but the English text was signed only at Waikato Heads and at Manukau by 39 rangatira. 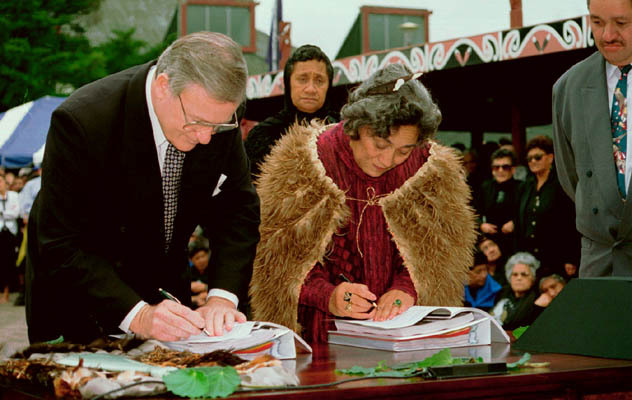 By the end of that year, over 500 Māori had signed the Treaty. Of those 500, 13 were women. Under the Treaty of Waitangi Act 1975, the Waitangi Tribunal has exclusive authority to determine the meaning and effect of the Treaty as it is embodied in the two texts (Māori and English) and to decide issues raised by the difference between them. The term ‘Waitangi Tribunal’ is used to refer both to the total membership and to the individual Tribunals that inquire into claims by Māori relating to actions or omissions of the Crown that may breach the principles of the Treaty. It is through its reports that the Tribunal provides its account of the Treaty principles. In the appendix to the Rangahaua Whanui National Overview report, Dr Janine Hayward discussed the emergence of four reconciling Treaty principles, namely the principle of active protection, the tribal right to self-regulation, the right of redress for past breaches, and the duty to consult. The recognition and adherence to these principles ensure the ‘active protection’ of Māori language and culture. The Treaty of Waitangi spoke of all relationships between New Zealanders, Mr Bolger said, “and we devalue it if we see it solely in terms of land claims, as many Pakehas sometimes do”. … “I see Aotearoa as a great waka,” Mr Bolger said. 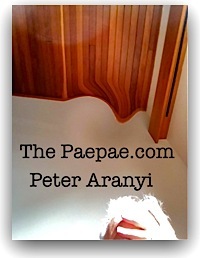 “It is a waka that needs many paddlers – some of them are Maori, some non-Maori. Some of them came here long ago, some in recent times.” — quoted in NZ Herald Waitangi Day 1992. The word ‘principle’ does not appear in the Treaty. There are only articles. And they are specific. The major dilemma with supplanting the words of the Articles of the Treaty with mythical principles, is that they can mean whatever anyone wants them to mean, depending on the circumstances. Same goes for the word “partnership.” It’s not there. Another confabulation. As I dimly recall, Maori became British subjects. Ever feel that you and the Queen of England are partners? No? Funny, that.